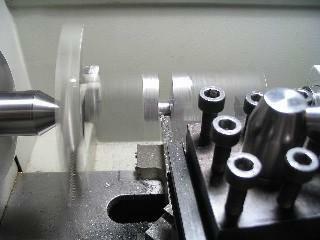 Below: The finished crankshaft shaft being run-in on the Taig lathe, using the engine's main bearings. 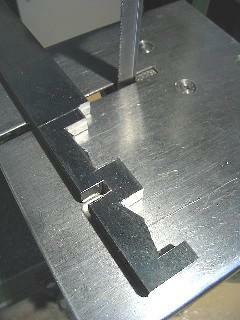 Well.....almost finished - keyways are yet to be cut for the eccentric sheath and the flywheel. 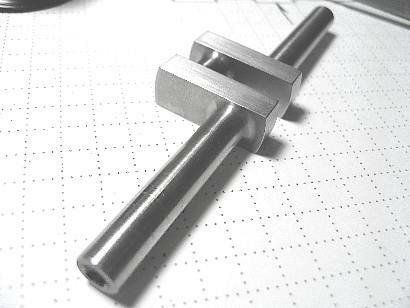 The crankshaft started with a piece of 1 1/4" x 3/8" hot-rolled steel bar. My Craftex 4" x 6" bandsaw makes quick work of cutting out the basic shape. 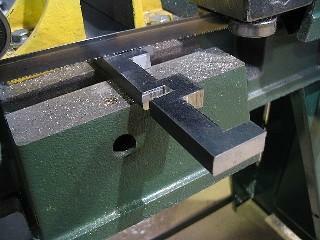 An extra piece is temporarily left at each end for the lathe center holes. 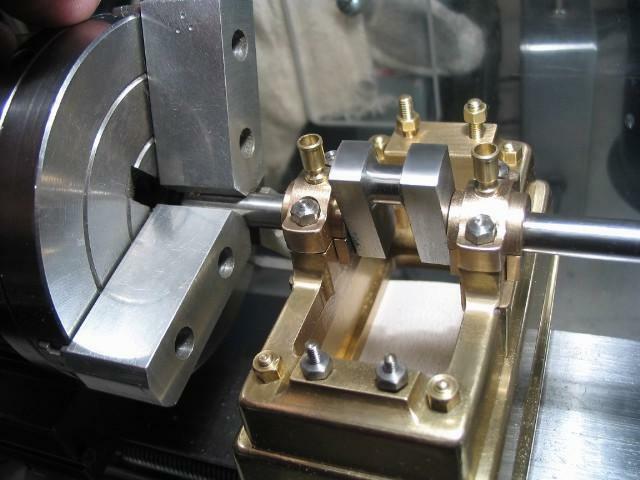 The workpiece is set between centers and ready to turn the crank pin using a parting blade. 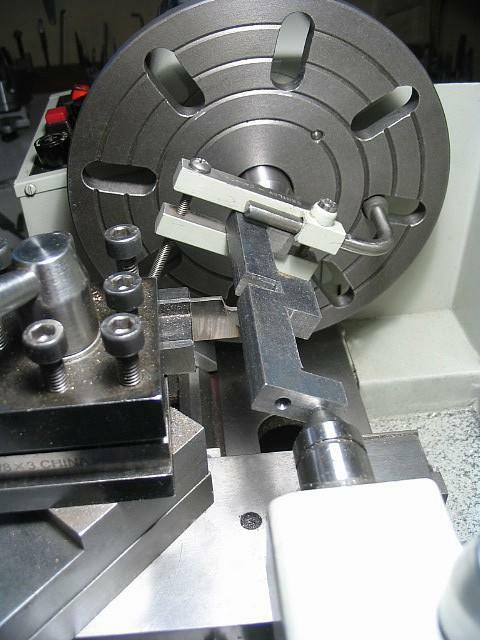 There are two different sets of lathe center holes - one for the crank pin (in use) and the other for turning the two shaft portions. Well, that seemed easy enough! 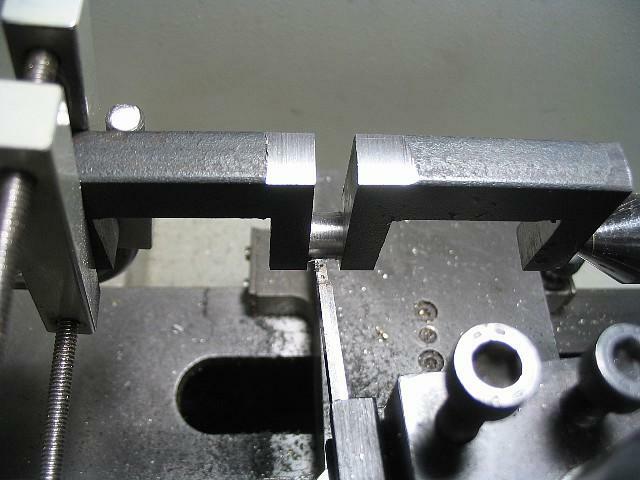 The space between the crank webs will be cut wider to allow filleting the ends of the crank pin. Starting to turn one of the shaft sections. 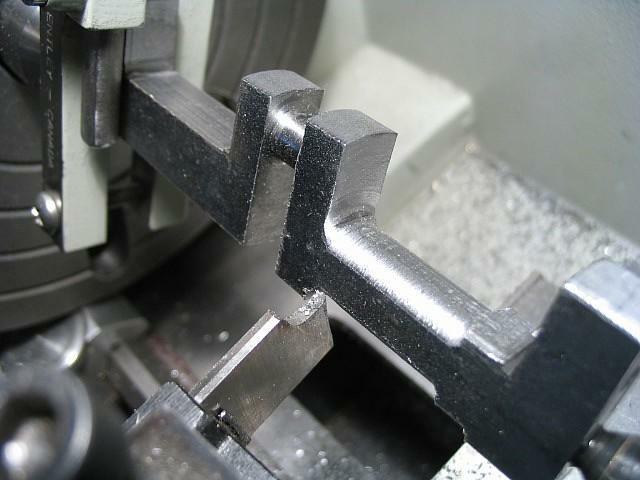 The round-ended parting tool is creating fillets where the crank web meets the shaft. Crankshaft essentially complete, awaiting the keyways to be cut on each end.